NSPO started FORMOSAT 5, the first Remote Sensing Program, for the Second Phase Space Program (2004~2018). The program emphasizes on building up the capabilities for independent development of spacecraft and payload instruments. Being the prime contractor for the Formosat-5 system, NSPO takes the sole responsibility of all development phases. The strategy for the program is to acquire key technology and setup a heritage bus design for NSPO. The key technology to be developed by NSPO includes flight software, EGSE and IPS. Additionally, NSPO and domestic partners will jointly develop some other key components, such as CDMU and PCDU. In the meantime, another goal for the Formosat-5 is to build-up the capability for the high-resolution optical remote sensing instrument by integrating NSPO with the ITRC (Instrument Technology Research Center) of NARL. 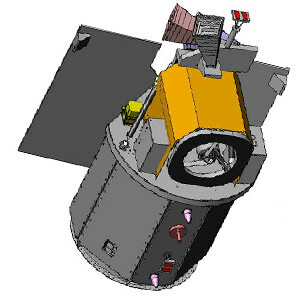 To develop a spacecraft bus platform and establish optical instrument capability by integrating the domestic R&D resources. To conduct leading space science missions. To utilize remote sensing technology for the applications of disaster mitigation and environment monitoring. To last supply of remote sensing images for the users of FORMOSAT-2. FORMOSAT-5 was first contracted to be launched on a SpaceX Falcon-1e rocket. When the development of this rocket was cancelled, SpaceX moved them on a Falcon-9 v1.2.